Business establishments are no strangers to the constant influx of customers and employees. For hours during the day, the floors have to endure and bear the weight of the foot traffic. Floors become very susceptible to dirt and stains, especially in areas with very high foot traffic. Business owners have the utmost responsibility to keep their floors clean, as a guarantee of the health and safety of all who tread on it. 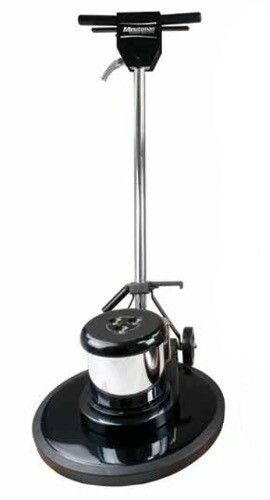 These demanding cleaning jobs gave rise to the release of numerous models of commercial floor cleaning machines. Depending on the place that needs to be kept tidy, there is a type of commercial floor scrubber or sweeper that is most suitable for the job. Before buying a particular model, consider the type of floor to be cleaned, the vastness of the area, and how often the machine will be used. Both of these machines are equipped with specialized brushes that spin and clean as they pass over an area. They also have vacuums and waste hoppers that pick up the debris and help filter the surrounding air and keep it clean. Generally, sweepers are ideal for dry debris like leaves, paper, and dust. For scrubbers, however, there is an added water tank feature, which deploys water and cleaning solution onto the floor. A scrubber may either be a ride on or a walk behind scrubber, both of which are good for use on floor stains caused by paint, oil, mud, and scuff marks. It has been estimated that within the next five years or so, more and more companies will be putting up buildings and establishments. In line with this economic growth, there will also be an expected increase in the demand for cleaning supplies, machines, as well as services. If one has considered investing in a commercial sweeper or scrubber, then these efficient machines can actually be used for setting up a specialized cleaning business. These commercial floor cleaning machines may be deployed to residential areas, parking lots, warehouses, garages, and more. With proper maintenance, these tools can last for years, and that can also mean many years of profits.